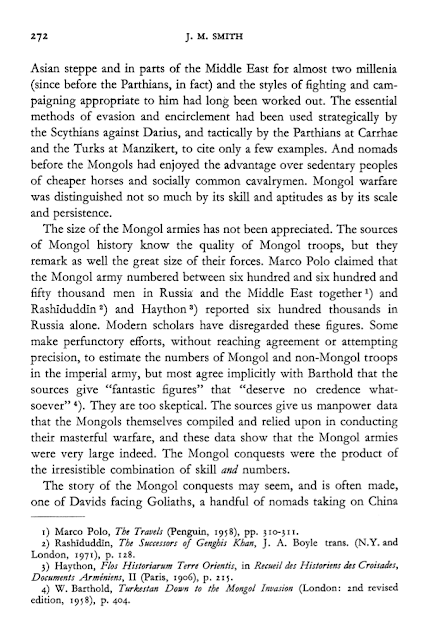 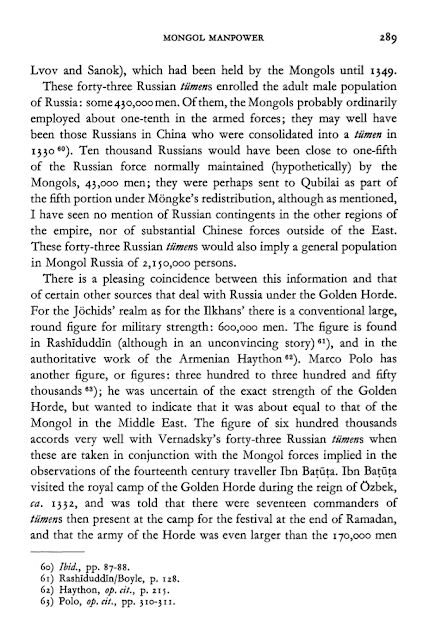 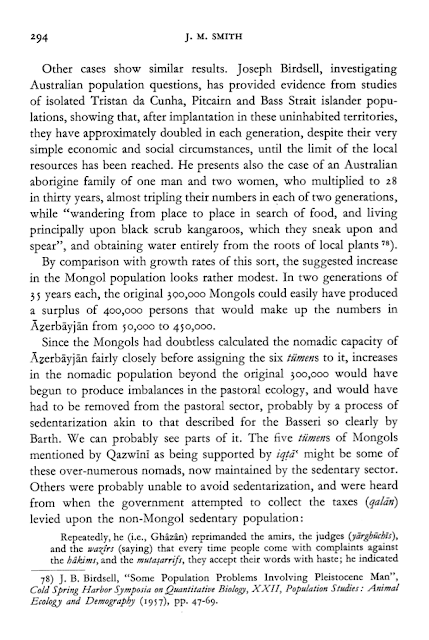 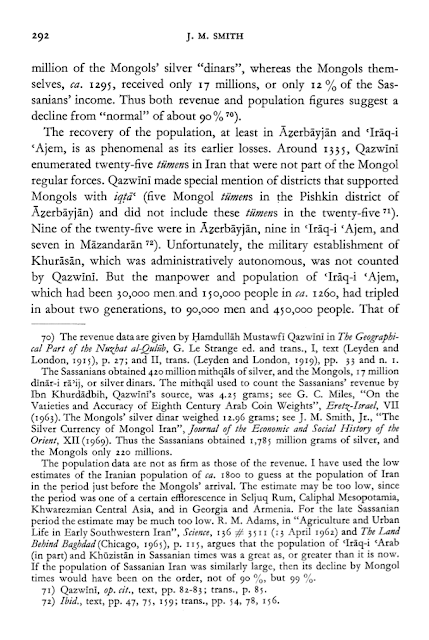 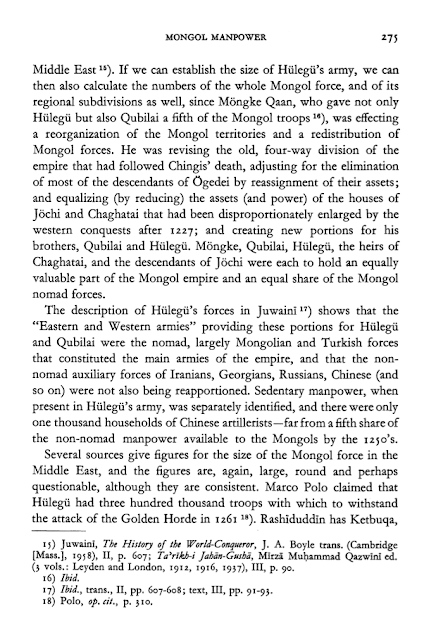 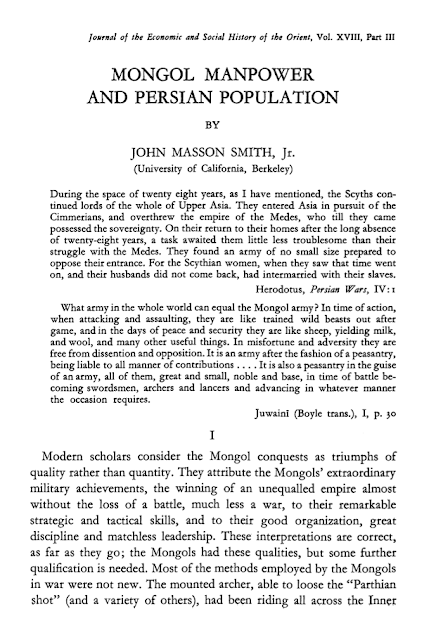 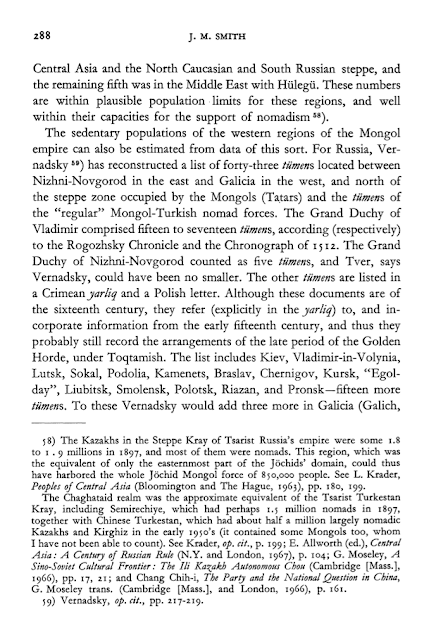 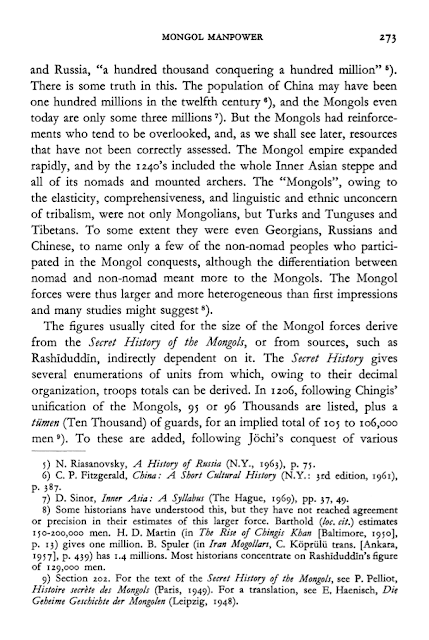 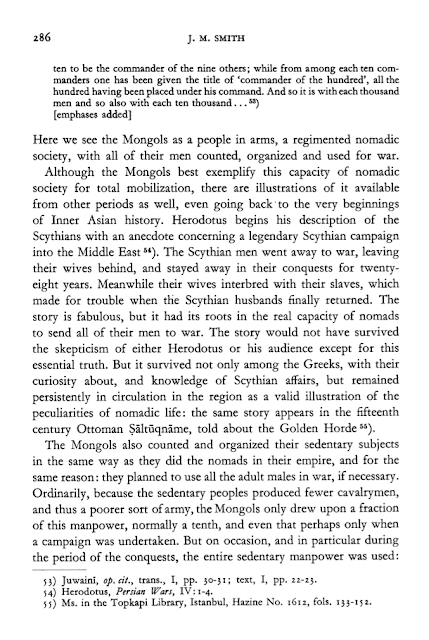 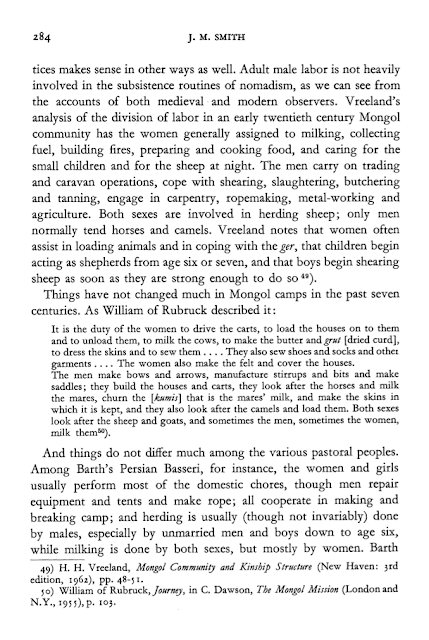 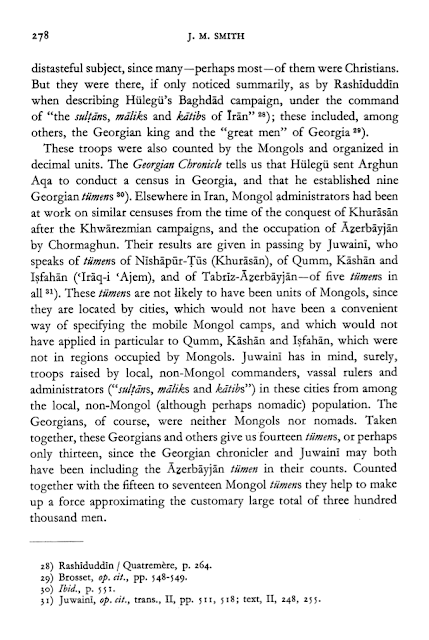 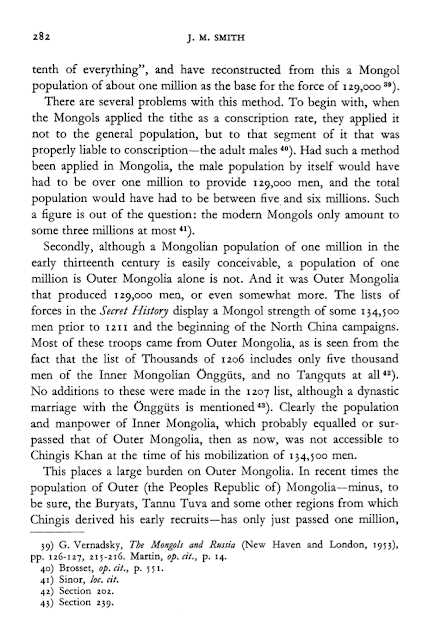 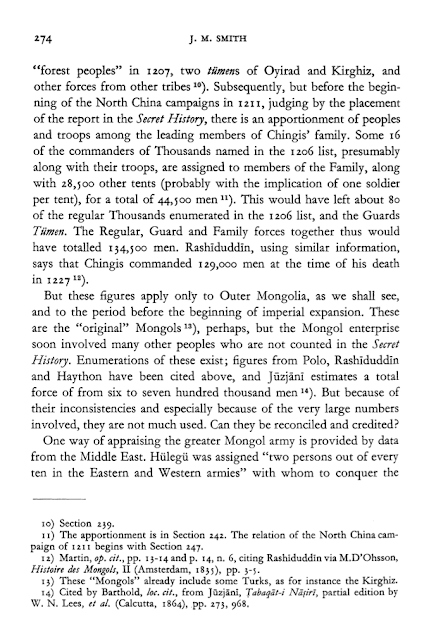 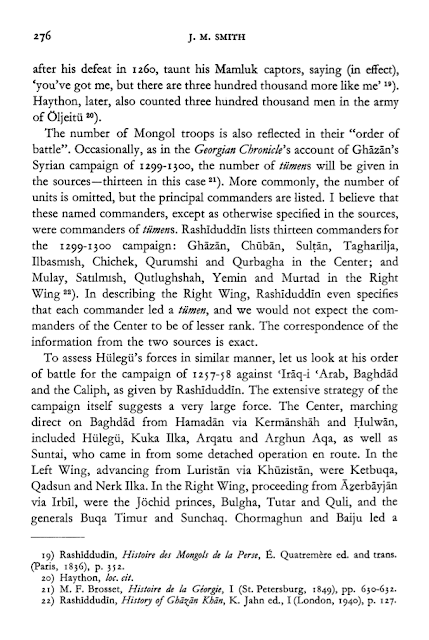 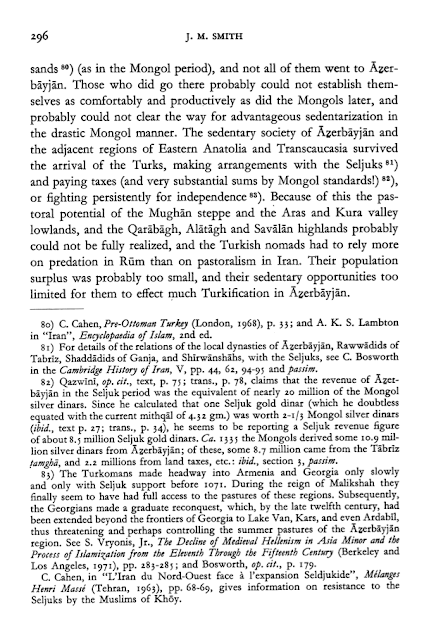 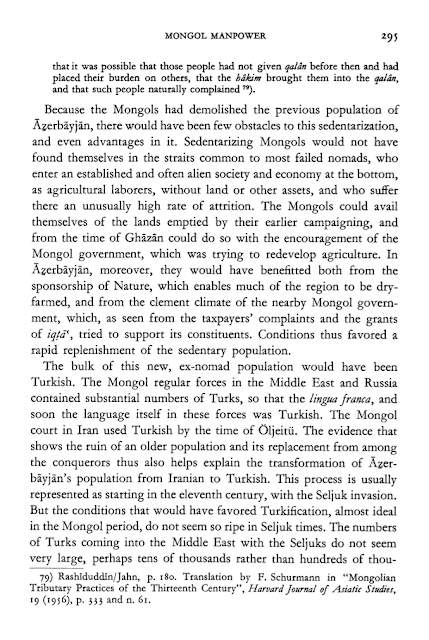 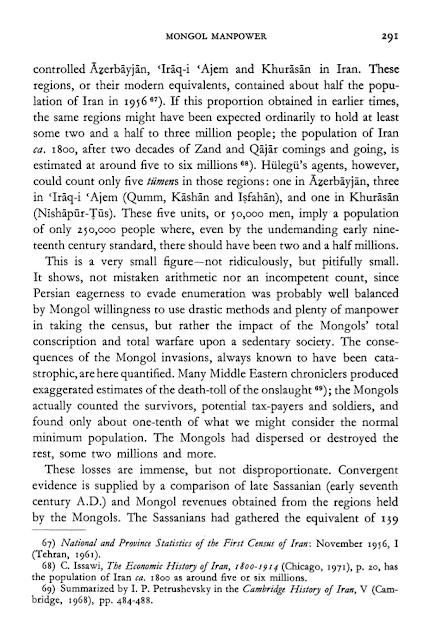 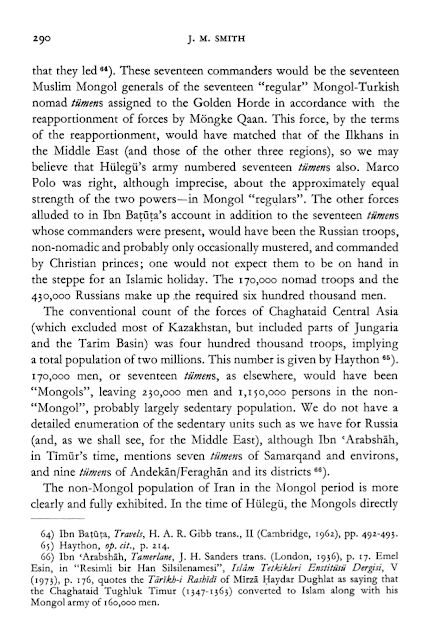 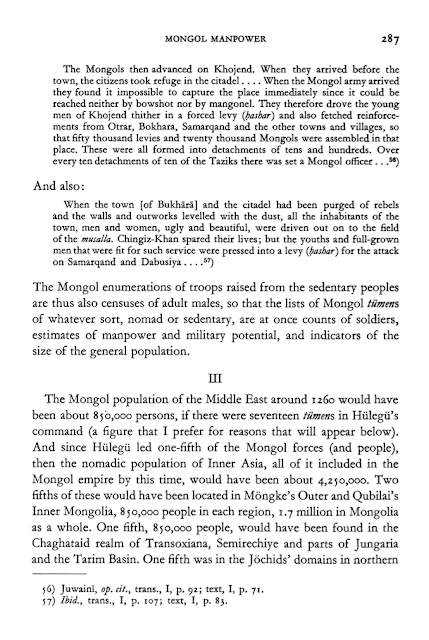 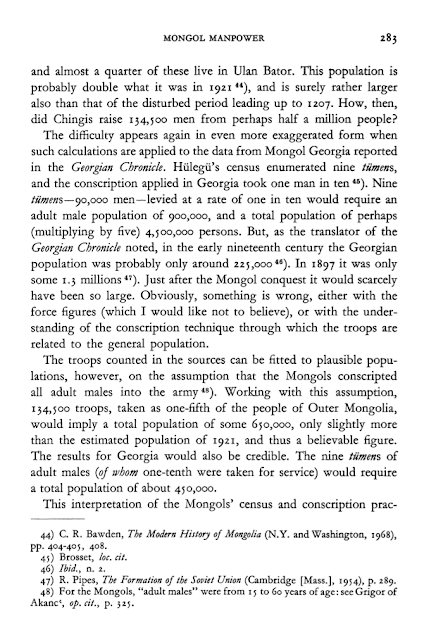 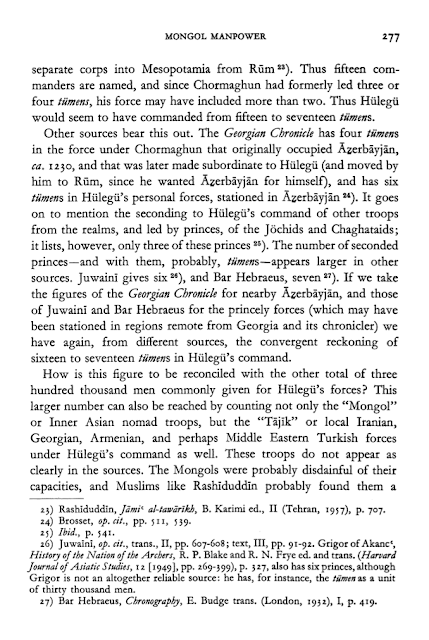 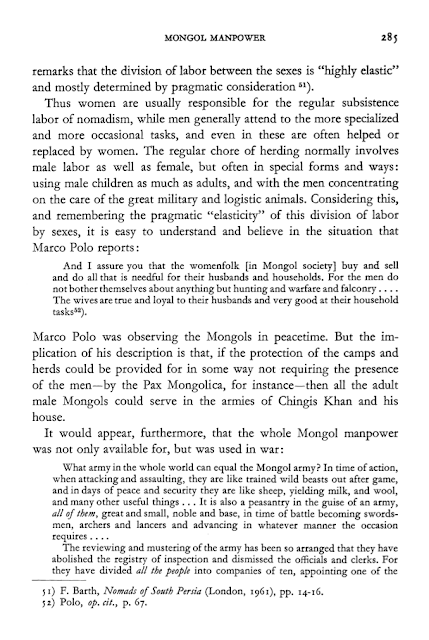 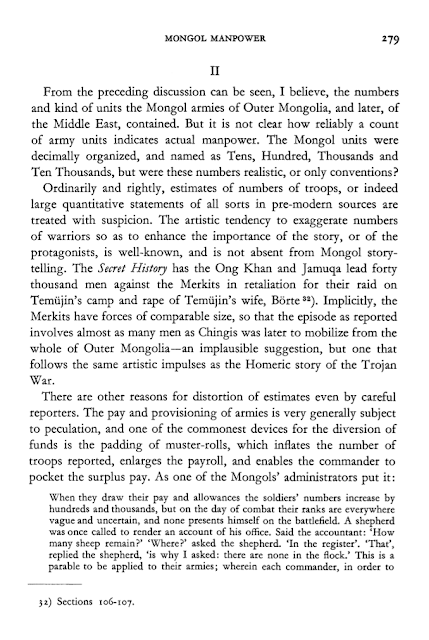 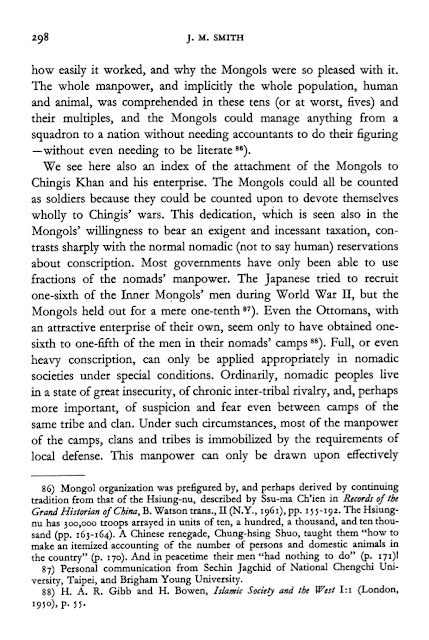 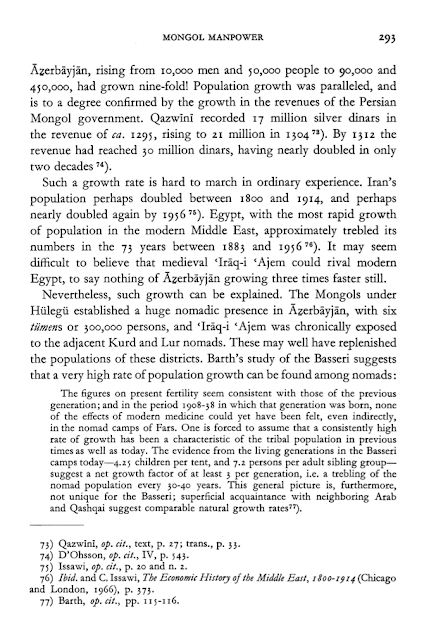 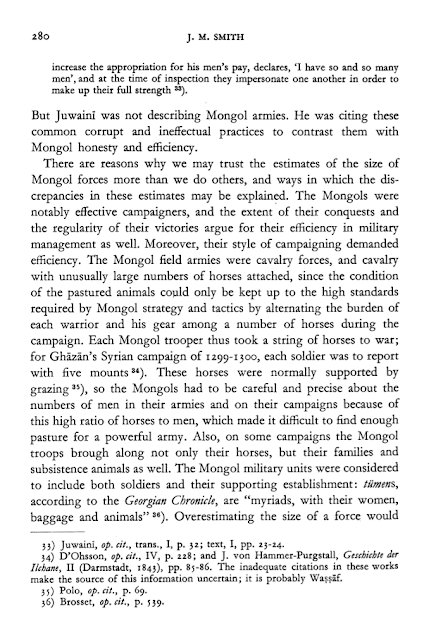 What army in the whole world can equal the Mongol army? 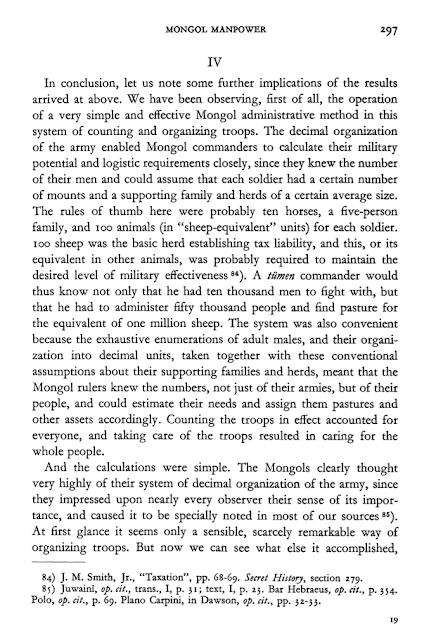 In time of action, when attacking and assaulting, they are like trained wild beasts out after game, and in the days of peace and security they are like sheep, yielding milk, and wool, and many other useful things. 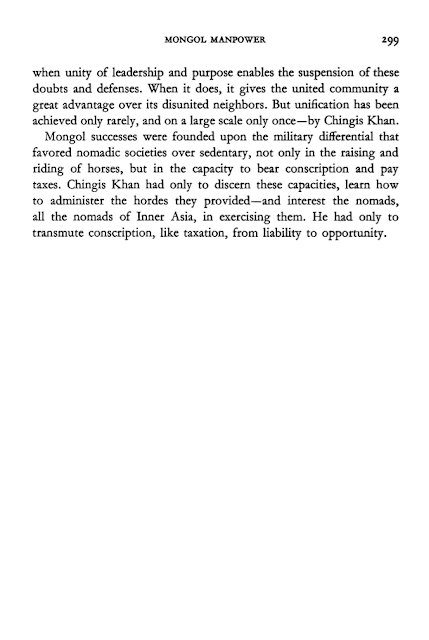 In misfortune and adversity they are free from dissention and opposition. 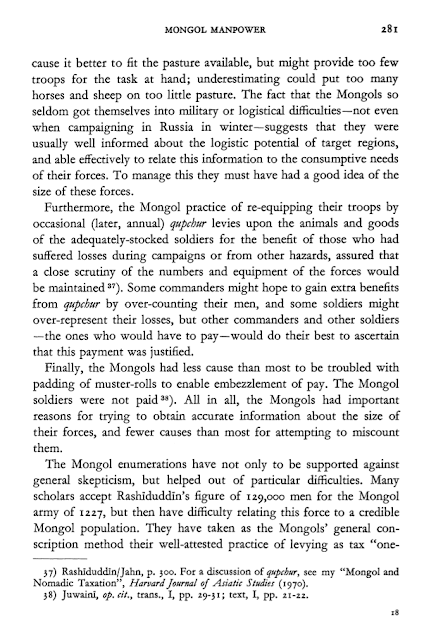 It is an army after the fashion of a peasantry, being liable to all manner of contributions…. 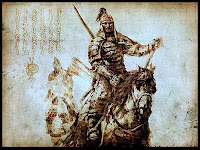 It is also a peasantry in the guise of an army, all of them, great and small, noble and base, in time of battle becoming swordsmen, archers and lancers and advancing in whatever manner the occasion requires.